Today is my Day 4 (also last!) guest design feature! You can see Day 1, Day 2, Day 3 featured in Penny Black Blog. Winter Lookout may seem like a simple lovely cling stamp. To me, the looking out part offers quite a few possibilities. Today's card is all about adding your own touches to make the design original and unique. The best thing about stamping is that there is no right or wrong. You can stamp anything that floats your boat/rock your world...however you like to say it. 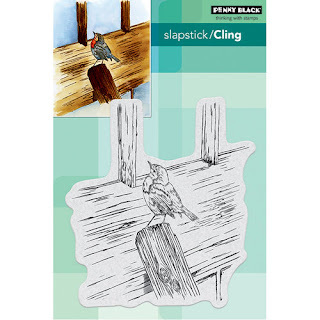 This stamp will also be great one for creating Masculine, Missing you/Thinking of you ...type of cards, too! 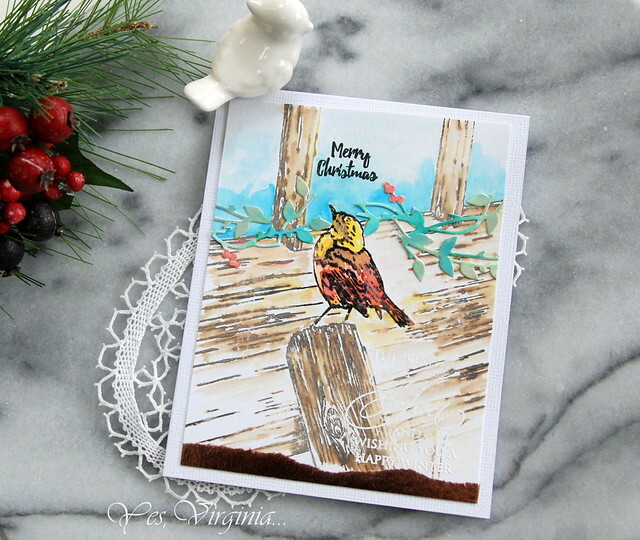 I hope to come up with more ways about this cling stamp Winter Lookout. If you love to see more of this stamp use, please leave me a comment! Design details: A nature stamp doesn't have to be all about nature. You can create an interesting scene by adding your own touches. 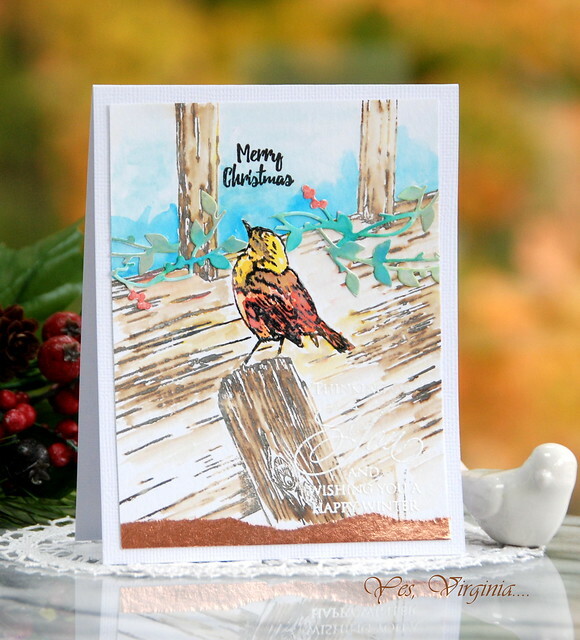 For example, white-embossed sentiment and small pieces of a die ( Birds on a Wreath Die ) can all be part of the design elements. Don't forget to add some shine with craft supplies such as glitter paper. 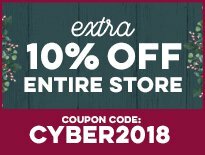 Scrapbook.com offers 10% off entire store for two more days! Be sure to use code : "CYBER2018"
and add Doodlebug Craft Pin to your cart (it will prompt you during the check out)--limited supplies. For example, Birds on a Wreath Die is now $22.38 ($4.50 in saving!). 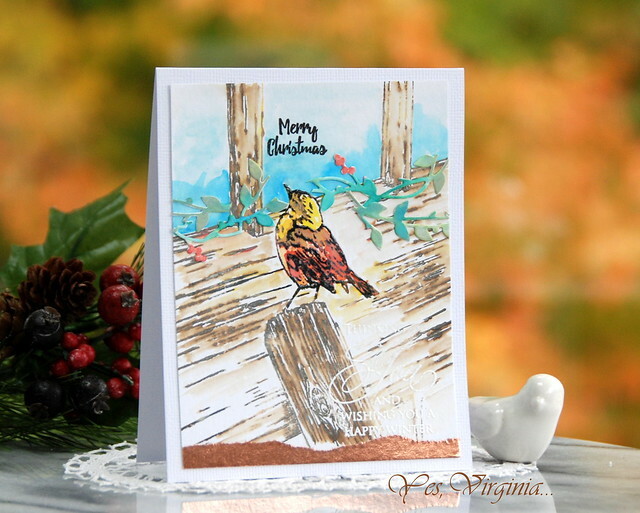 If you can stop by Penny Black Blog to leave me some love, that will be FABULOUS! Affiliate links are applied below at no additional cost to you. If you are purchasing the products, it will be awesome that you use the links below. 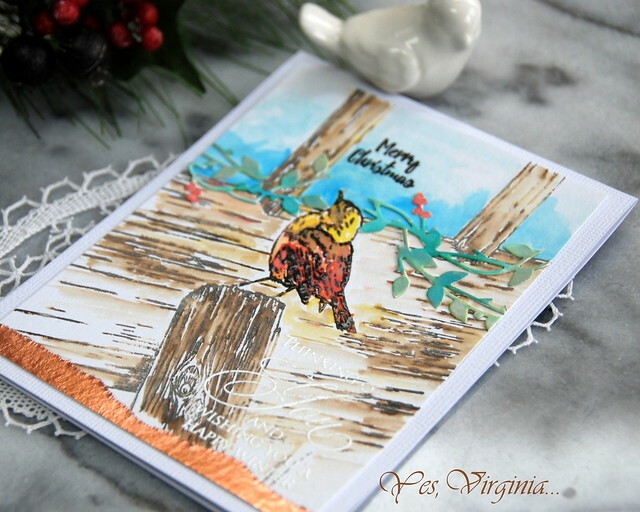 Beautiful color combo on this pretty card! So pretty! I love the bird! Lovely card. I like this stamp and the vine you added. When I first saw this stamp I thought it was adorable as it was but you've, once again, brought it to life in such a joyous way. Just beautifully done. Beautiful card, I love how you used bits of the wreath die to change the "basic" stamp (though that is very lovely too!) I would love to see more ideas for "scenic" stamps. thanks so much Virginia! It's All About The Ink! EASY Way of Using an Intricate Dies! Altenew November Release is here! Altenew Promotion--20% off Stand Alone Dies!